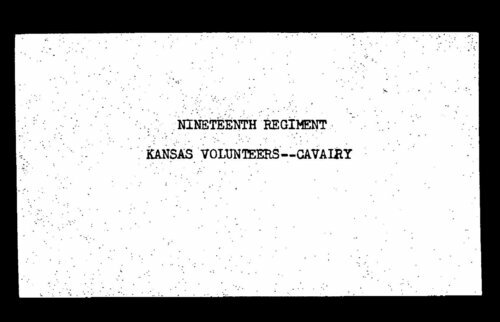 The roster of soldiers in the Kansas Nineteenth Cavalry volunteer unit. Indexes at the beginning give the name of the soldier, his company, and the page number his record is listed on. The lists may include name, age, rank, and enlistment date. The index to the Kansas Adjutant General's Report, 1861-1865, (see link below) also gives the regiment and company the soldier served in.